ASOS cropped t-shirt and spiked hair comb, American Apparel stripe thigh-high socks. 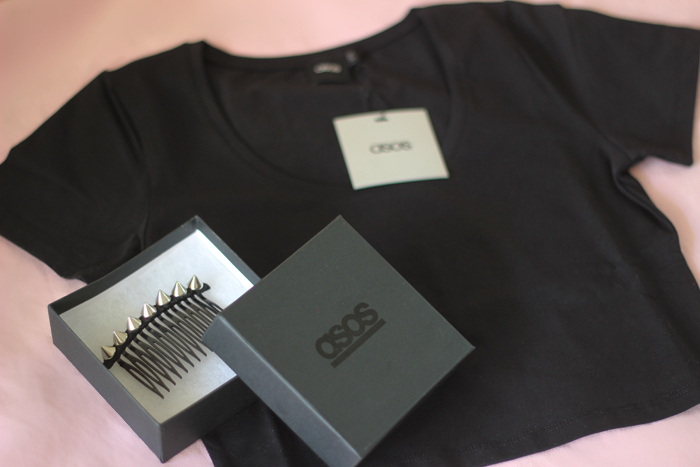 The studded haircomb is just lovely! I think it'll really suit you well! Great items! I have the AA socks too, but blue and pink instead. Hope you love them! Can't wait to see how you wear those socks! I have the black with white stripes version and I haven't worn them very much.